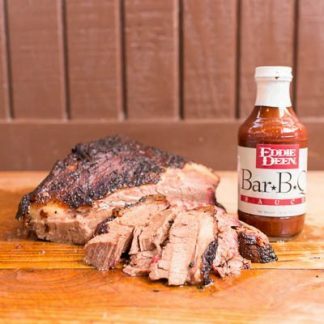 Authentic Texas BBQ Flavor. Buy 6 or 12 Bottles and Save on Shipping. 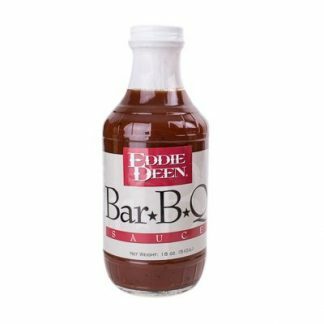 Eddie Deen’s BBQ Sauce is a signature sauce with quite a history. The sauce has been served at the inauguration celebrations for four Texas Governors and two Presidents of the United States. 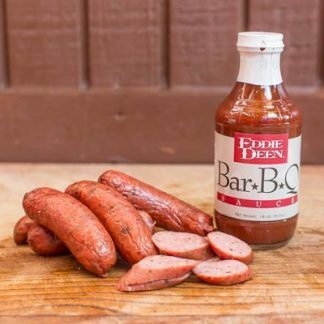 Once you taste it, you will understand why millions of people around the world have been enjoying the authentic Texas BBQ flavor and the magic in the bottle! 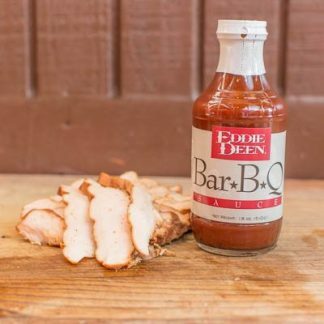 Eddie Deen’s BBQ Sauce can be served over any of Eddie Deen’s BBQ beef, pork, or poultry and it’s great on burgers! You can use it on any of your grilled foods. 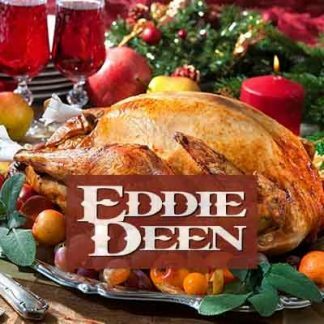 It tops a meatloaf or roast beef sandwich perfectly! 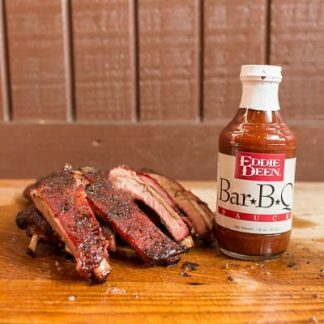 This is a great gift for all the BBQ lovers among your family and friends. 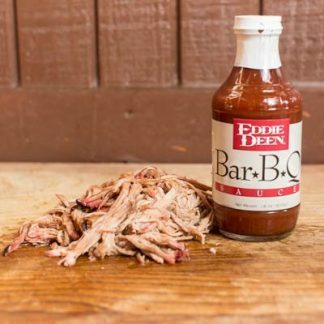 Give it for thank you presents, welcoming presents, housewarmings, houseguest gifts, or for any occasion that warrants a little BBQ kick of flavor.